The Norwich Terrier originated as a ratter on farms but moved up in the world to bolt foxes from their dens during hunts. Today he’s an amusing companion who serves double duty by keeping your home and yard free of rats and other vermin. The Norwich Terrier is one of the smallest of all the terriers, but what he lacks in size, he makes up for in personality and drive. This active terrier is a wonderful companion for an active individual or family. His name gives you a clue to his appearance and helps you tell him apart from his sibling, the Norfolk Terrier: remember that the Norwich has prick ears that stand up like a witch's hat. The Norwich Terrier was once used for hunting both vermin and foxes, and today he can still be seen hunting in a variety of places. 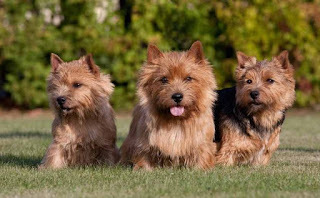 Norwich Terriers are a working breed and are happiest when they have a job to do such as attending obedience class and practicing at home or participating in various dog sports. The Norwich successfully competes in obedience and agility trials, rally, and earthdog trials. Norwich Terriers are courageous, but they should never be aggressive. The breed is known for its loving and well-balanced nature and thrives on the companionship of the humans it loves. If you can cope with his high prey drive and tendencies to bark and dig, the Norwich Terrier is a wonderful companion and friend who may surprise you with his versatility and athleticism. Norwich Terriers have a high prey drive and should never be trusted off leash when they're not in a fenced area. Norwich Terriers require at least two long walks per day to keep them fit and to help them expel excess energy. They make excellent walking companions. 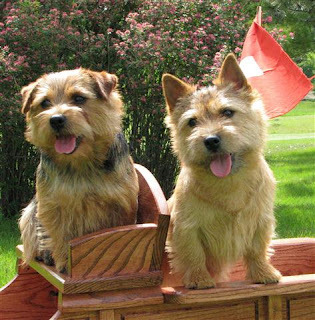 Norwich Terriers can be difficult to housetrain and although they're eager to please, training can be difficult when not properly motivated. Be patient, stick to a regular schedule, reward them with praise and treats when they potty outdoors, and crate them when you can't supervise them indoors. 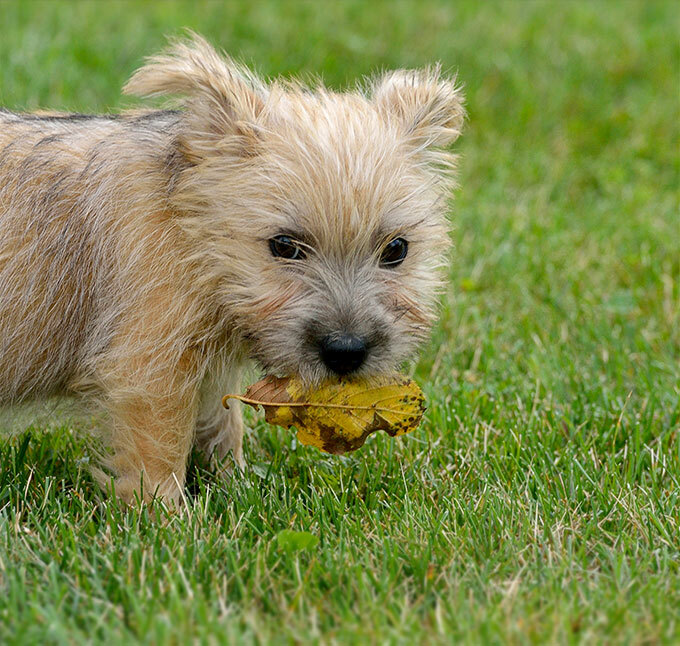 Norwich Terriers can coexist with other dogs and cats, but the breed will generally classify any rabbits, gerbils, or other small rodents as prey. They are not a good match for homes where small pets are allowed to roam free. Barking is often an indicator that your Norwich Terrier sees something suspicious, is bored, or hasn't had his exercise needs met. The breed is not known for being overly yappy but there are exceptions to every rule and every Norwich Terrier will bark if the above occurs. The Norwich Terrier, like many terriers, enjoys digging. Bear in mind it's easier to train a dog to dig in a specific area then it is to break him of his digging habit. The Norwich is a rare and therefore expensive breed. The Norwich Terrier is one of the younger breeds in existence today and shares his history with the Norfolk Terrier. In fact, the Norfolk Terrier was considered the drop-ear variety of the Norwich Terrier until 1964 when the British Kennel Club separated the prick ear and the drop ear into two different breeds. Before that time, however, the Norwich Terrier was a breed that rarely had a standard--a written description of the breed-that puppies were bred to. The breed originated in England, and several breeds may have contributed to its development, including the Irish Terrier. Between 1899 and 1902, a brindle-colored mixed-breed female was bred to a "Cantab Terrier." The resulting puppies were called Trumpington terriers, and one of them, "Rags," became the founding sire of the Norwich Terrier breed, being bred with various Trumpington terriers and Glen of Imaal terriers. For a time, they were known as Jones terriers, after Frank Jones, who was instrumental in developing them. 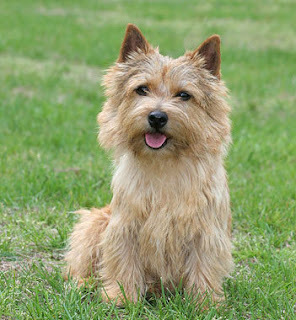 The Norwich Terrier moved with Frank Jones to the United States and found use as not only a hunter of vermin but also as a terrier who could work alongside Foxhounds. The Norwich Terrier was used to flush foxes Foxhounds couldn't get to because they'd gone into their dens. It didn't take long for the Norwich Terrier to become known in the United States and many were imported into the US and used by American hunters for foxhunting. 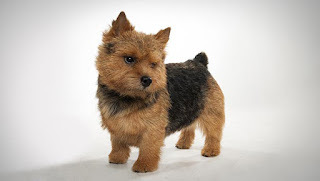 In 1979, the AKC followed the lead already set by England's Kennel Club in 1964 and split the varieties into two different breeds: the drop-eared dog became the Norfolk Terrier and the prick-eared dog remained the Norwich Terrier. The Norwich is a classic terrier breed: fearless, strong, sassy, loving and independent. Norwiches make excellent family dogs as they consider their family to be their “pack” and will want to be included in as many group activities as possible. They never tire of playing ball, and many owners report that their Norwich Terriers chased balls with the vigor of a puppy well into their older adult lifetimes. This breed has a zest for life, approaching new tasks and situations with vigor, and make an excellent family pet, though they shouldn't be raised alongside toddlers. Their trainability and generally even temperament makes them a good choice for first time dog owners. 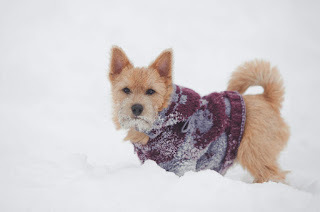 The Norwich Terrier functions better as a house dog with access to the yard, but it can also live outdoors during daytime in temperate or warm climates. Its wiry coat requires occasional weekly combing, and stripping of dead hair three or four times a year. The Norwich is fond of exploring and running, but off-leash forays should be done only in secure areas. It is also recommended that you allow the dog to run short distances and stretch out its legs every day. The Norwich Terrier will do okay in an apartment if it is sufficiently exercised. They are fairly active indoors and will do okay without a yard. Norwich Terriers like to be in charge, but when trained from a young age are not difficult to handle. They are incredibly smart, and repetition can bore them, so make sure sessions are mixed up and kept lively to maintain interest. Positive reinforcement and treats are the best method for training this breed, as treating a terrier harshly will only lead to defensive behavior. 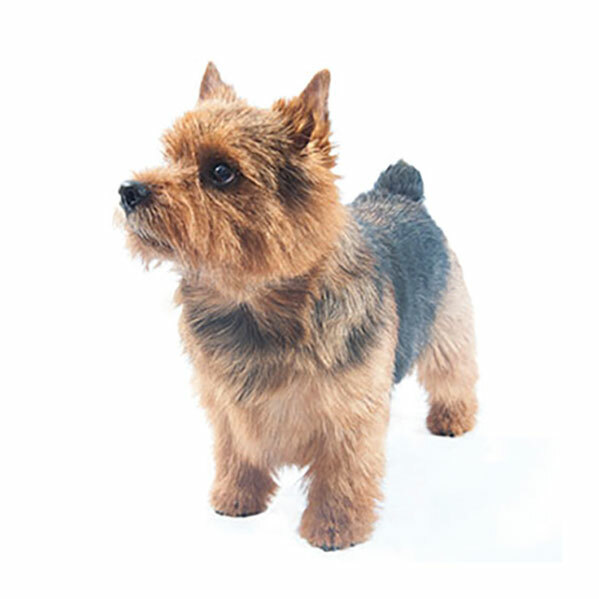 When basic obedience has been mastered, Norwich Terriers can graduate on to advanced training, agility or Earthdog activities. Agility courses allow Norwiches to exercise their minds and bodies, and Earthdog allows them to hunt and dig for vermin. They will enjoy the exercise, appreciate the time to use their sharp minds, and will eat up the extra time spent with you. The Norwich Terrier can get exercise on its own, as long as you have a fenced-in yard. As long as you have the time and space, and ensure that your Norwich gets enough exercise, you’ll avoid destructive behaviors. Your Norwich Terrier will need other exercise as well, like a daily walk. Be sure to keep your dog on a leash, as the Norwich will chase after animals such as rabbits and squirrels. Your backyard should be completely fenced in for the same reason. Your dog enjoys a game of tug of war or chase. Don’t be alarmed if your Norwich is aggressive when it is playing – it’s perfectly natural. 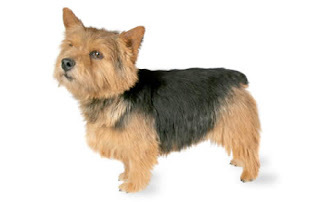 The Norwich Terrier has two coats - a harsh, wiry topcoat and a soft warm undercoat. Ideally, the coat is combed with a steel comb daily to once a week to remove the loose, dead hairs and prevent matting. Proper maintenance of the Norwich coat, like other hard wiry coats, requires "stripping," or pulling the oldest hairs from the coat . Stripping results both in the coat retaining its proper appearance, and in the health of the dog's skin and coat. Ideally, owners hand-strip the coat on a regular basis to achieve what is called a "rolling" coat, where hairs of all lengths are growing in. Maintaining a rolling coat is easier on the dog's skin and requires shorter grooming sessions. At minimum, the coat should be stripped once in the autumn and once in the spring. Clipping or cutting negatively affects the appearance of the coat's natural colours and texture. Norwich Terriers are known for their love of everyone, and this includes children. They do much better in homes with children if they are raised with them. An adult Norwich who's unfamiliar with children may do best in a home with children who are mature enough to interact with him properly. Norwich Terriers also do very well with other dogs and tend to have no issues with other canine pets. They can adjust to living with cats but they need to be properly socialized to them to do so. 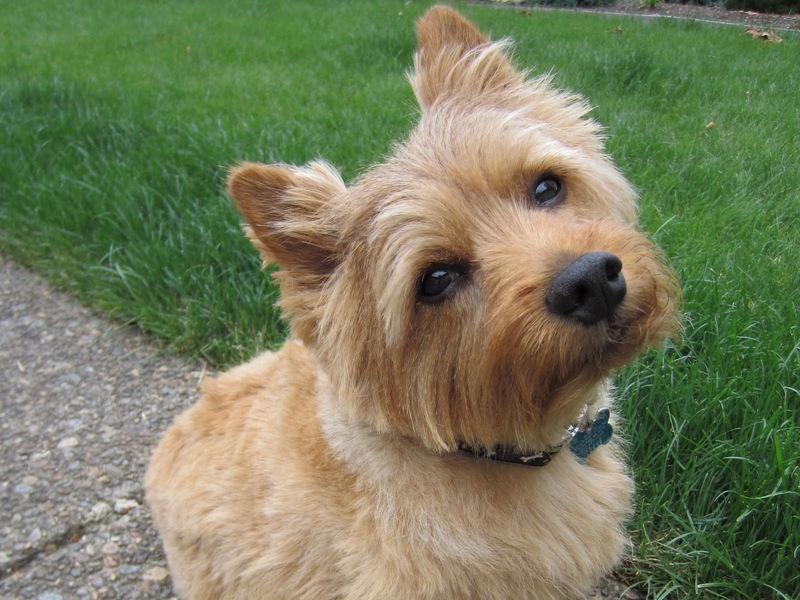 Is the Norwich Terrier the Right Breed for you? 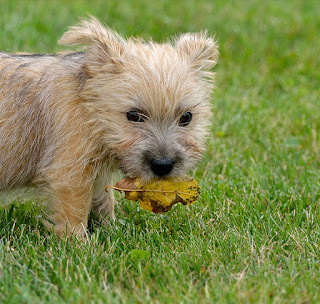 Moderately Easy Training: The Norwich Terrier is average when it comes to training. Results will come gradually.